Welcome to anyone who hasn't seen this older post! And this is what it looked like right before the makeover! I absolutely love the look of brick walls and fireplaces that have been painted white. My husband? Not so much! So we compromised on the idea of building a cover for our brick fireplace that I could paint white, and I think he did the most fantastic job! I love the way it turned out! 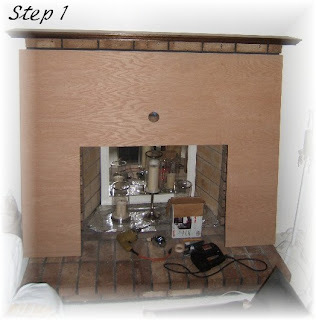 He basically measured and cut a single sheet of birch plywood to cover the front of the fireplace, even cutting a hole for the flue knob. 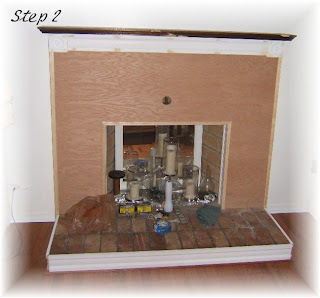 To make things really simple, we purchased decorative trim that was just the right width to cover both sides of the fireplace, and also used decorative trim under the mantel and around the hearth. We then applied some trim to cover the corners, wood puttied all the holes, and painted everything white. I have two king size ruffled pillow shams laying across the brick hearth until we eventually finish that part. Since we only burn candles in the fireplace, the material on the hearth isn't a problem and I've actually grown to like the way they look! 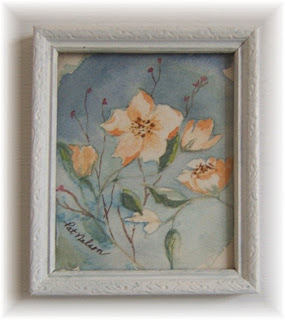 And to cover the hole for the flue knob, I found the sweetest watercolor painting at a yard sale a few years ago - it's a tiny little masterpiece that's just the perfect size! Yes, I couldn't be happier with our fireplace makeover, and hubby couldn't be happier that the brick fireplace is perfect intact underneath! Wow he did an excellent job! I love it white too! Love the new fireplace look! Your hubby did a fabulous job! Our fireplace was red brick w/ a rough timber type mantle, not our style at all. 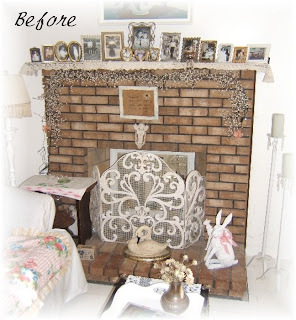 So we did a makeover with white-wash on the brick and a cover over the mantle, well my husband did the work, well...and came up with the idea too! There I said it! He IS absolutely fabulous!! Great post! What a beautiful transformation! I just looked through many of your posts, and I must say, you have fantastic style!! 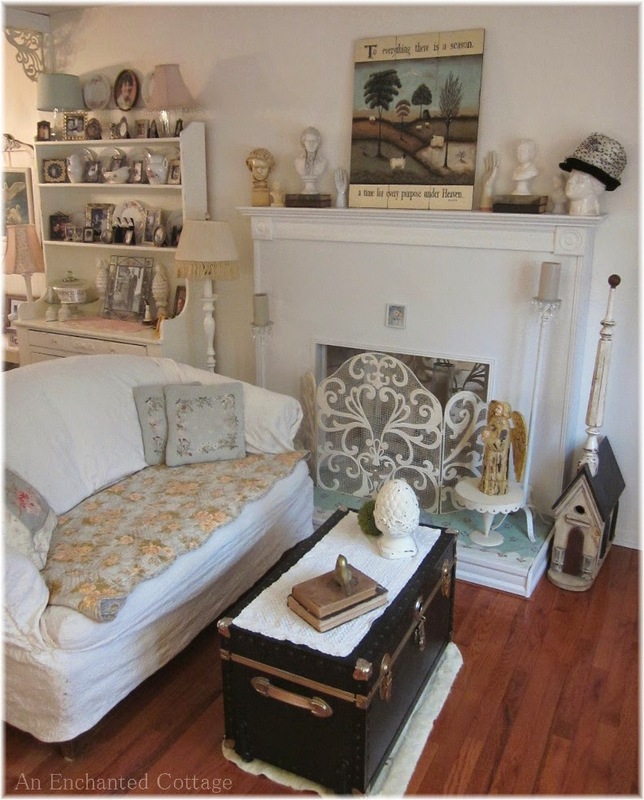 I love all the cottage pieces! wow, that looks like it was a LOT of work but WELL worth it!! GORGEOUS!! love your style! I do love it white. Very nice job on top of that. 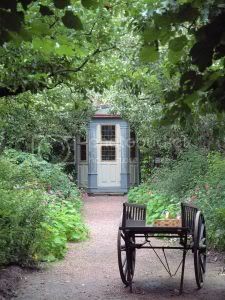 Hi, wondered over from "my romantic home" blog. LOVE the way the fireplace turned out! It looks beautiful all in White. What a fantastic compromise and it looks great! I arrived here via Pat of Mille Fiori Favoriti. 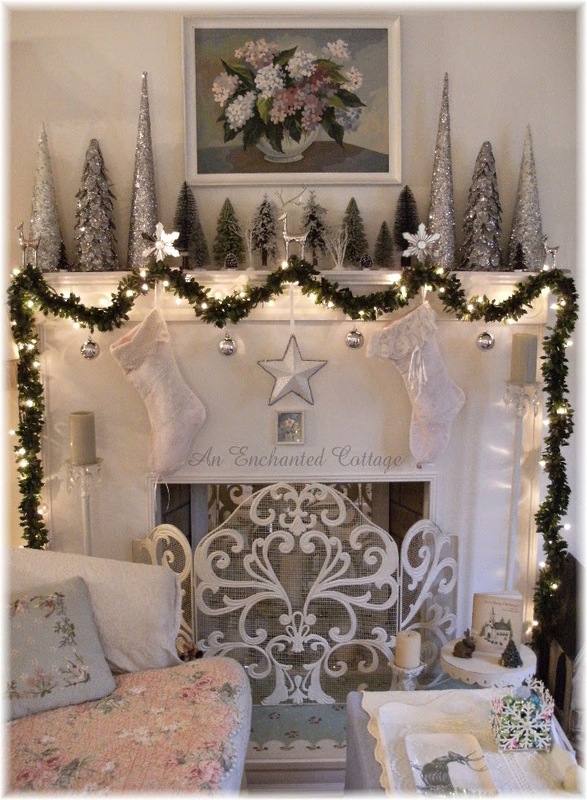 Your fireplace mantle is darling! It looks like everything else is darling too! That turned out beautifully! I love to paint brick white too - I just did it when my husband was at work (that old 'asking for forgiveness is easier than asking permission' ploy....). Hi again Donna. I'm having a great time reading some of your older posts! 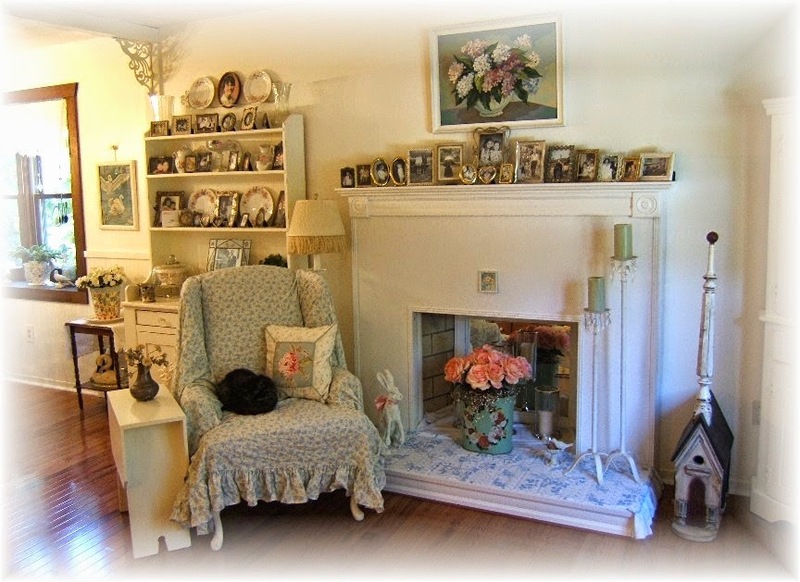 What a transformation of your fireplace. I always tell people it is amazing what white paint will do. What a clever idea to face the brick instead of paint it. It looks fabulous. Have a great weekend & I love your blog!! The white really made a big difference! Super job and it brightens the room! Amazing!!! I SO love it. You did a wonderful job. Hey, that looks great! Your picture of this makeover could be in any magazine...and I don't mean the ones that have gone under! Love the new fireplace. he did a great job. I love your after, its cozy and beautiful! what a great idea to put up the board, its a whole new fireplace! It's a wonderful transformation! Mine is in such dire need for just this - thanks for the inspiration. Wow it looks great I love it! This inspires me to do something different to mine!